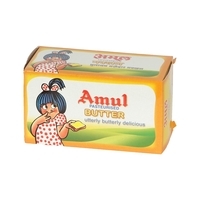 The rich garlic taste with oregano herbs blended well in classic Amul butter gives it a unmatched taste & flavour ! No artificial flavour or colour added, 100% Natural ! 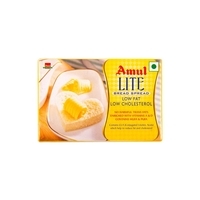 It is now easy to prepare the scrumptious garlic bread in no time! 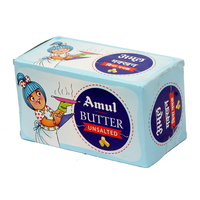 With Amul Garlic butter blended with the goodness of oregano herbs, enjoy the garlic toasty with gusto. 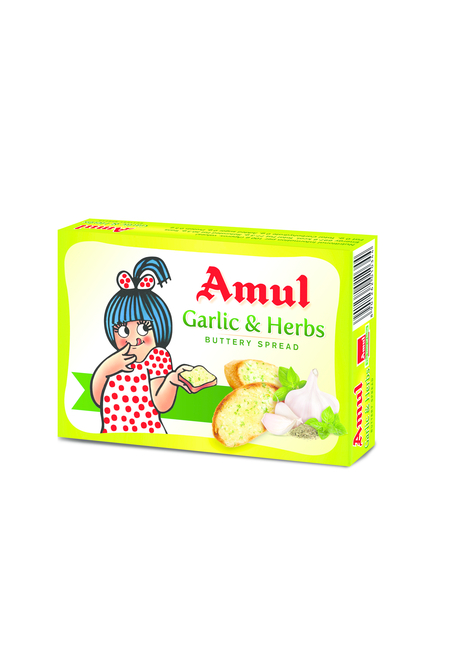 Throw a weekend party, invite your friends and family, and treat them with delicious garlic bread made with Amul Garlic & Herbs Butter. It is 100% natural with no added artificial flavour or colour. 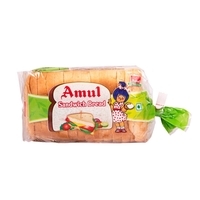 Make the same mouth-watering, delicious Garlic Bread at home in a jiffy with Amul Garlic & Herbs Buttery Spread. 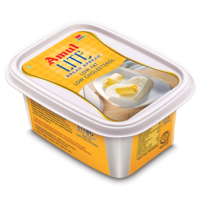 See the recipe on the pack. It is now easy to prepare the scrumptious garlic bread in no time! 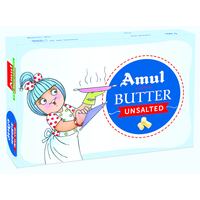 With Amul Garlic butter blended with the goodness of oregano herbs, enjoy the garlic toasty with gusto. 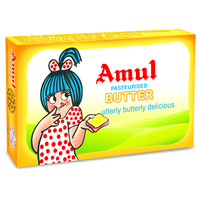 Throw a weekend party, invite your friends and family, and treat them with delicious garlic bread made with Amul Garlic & Herbs Butter. It is 100% natural with no added artificial flavour or colour. 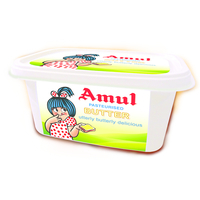 Make the same mouth-watering, delicious Garlic Bread at home in a jiffy with Amul Garlic & Herbs Buttery Spread. See the recipe on the pack.